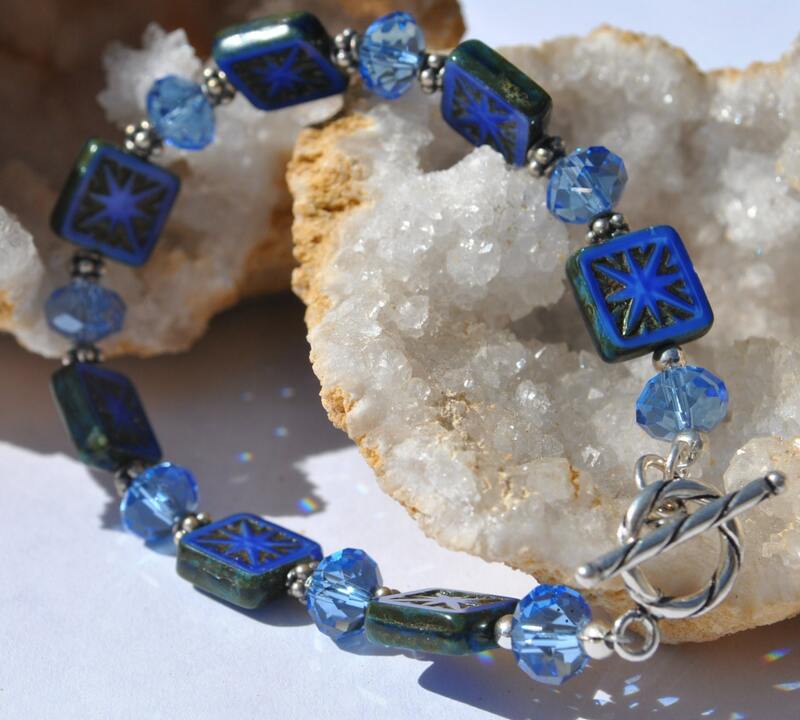 This denim blue bracelet is so fun! 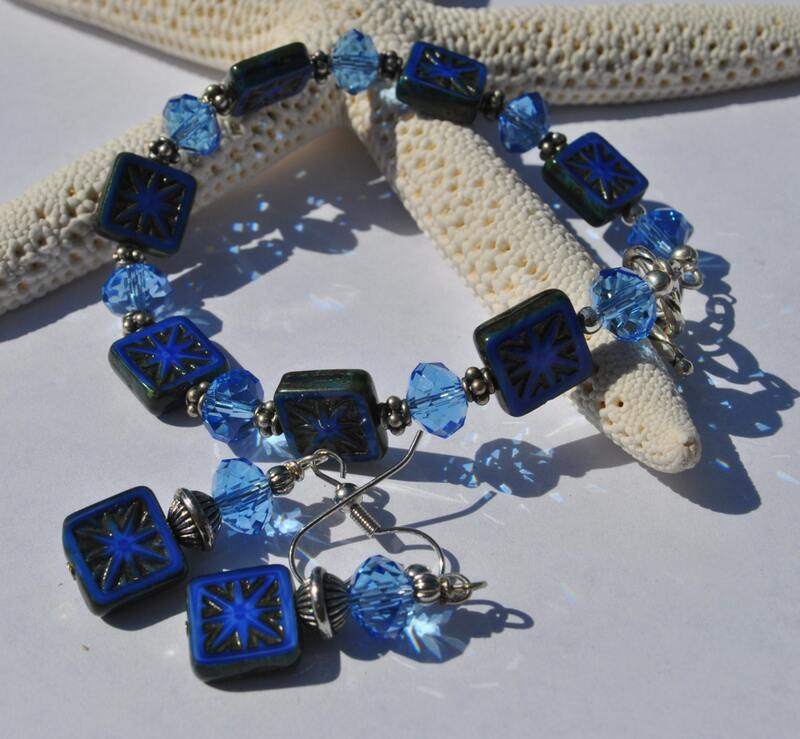 Look at these intricately carved Czech glass beads, with soft blue crystals and Bali sterling silver beads. 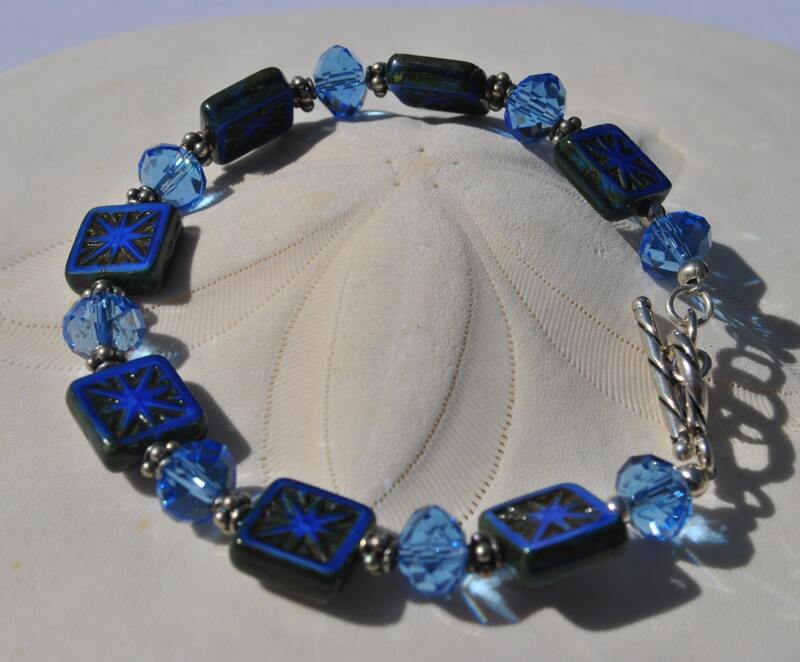 It is completed with a sterling silver toggle clasp. 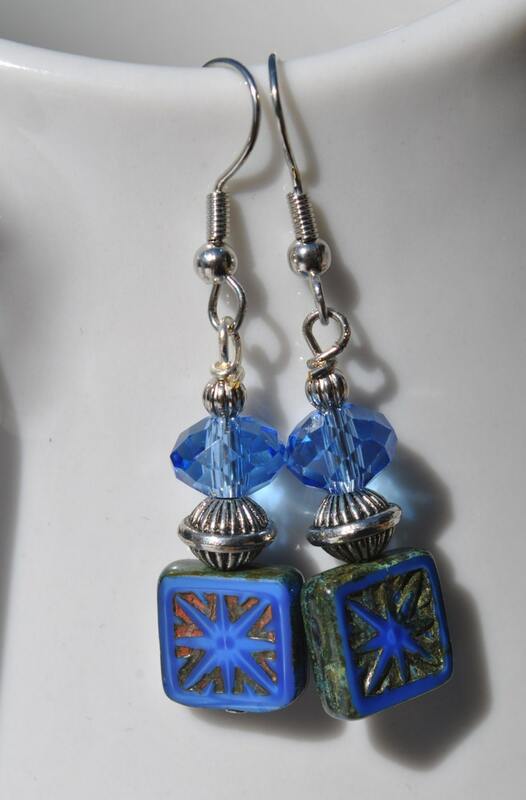 Coordinating earrings included in price.